The upcoming NAKIVO Backup & Replication v7.4 provides new features to streamline data recovery, enhance reliability, and simplify data protection management. Sign up for the v7.4 Beta Program and try out all the new features yourself. Beta Program participants who complete the program requirements are eligible to receive an Amazon gift card! Important files are often lost, damaged, or accidentally deleted. 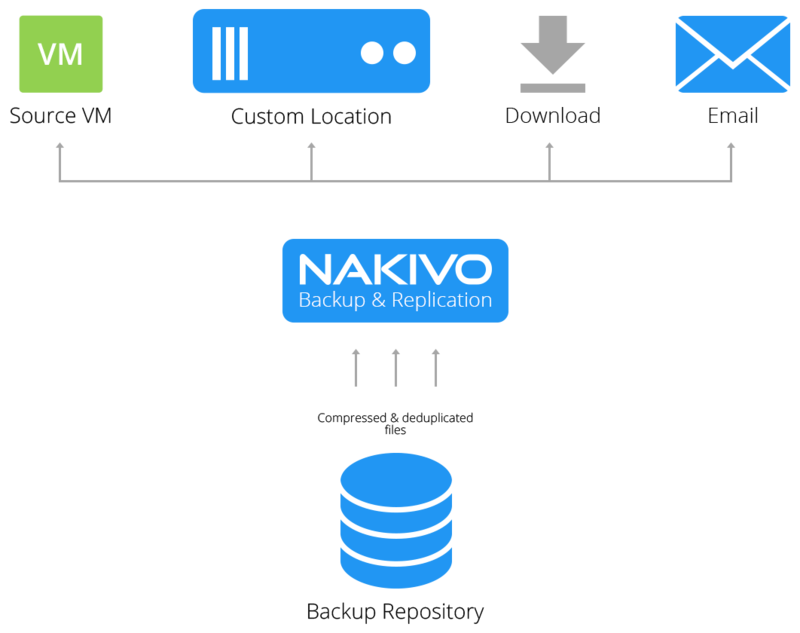 NAKIVO Backup & Replication allows you to recover files directly from deduplicated VM backups, without restoring the entire VM first. Starting from NAKIVO Backup & Replication v7.4, you can recover files back to their original location, or choose a custom one. Every second is precious when important VMs are down. That’s why NAKIVO Backup & Replication v7.4 is introducing a new feature – VM Failover jobs. If a disaster strikes, you can switch to your VM replicas in a matter of minutes. Network Mapping and Re-IP rules, that are a part of VM Failover jobs, reduce the time needed to perform disaster recovery. With Network Mapping rules, NAKIVO Backup & Replication can connect VM replicas to appropriate networks at the DR site. Using the Re-IP rules, the product can assign appropriate IP addressed to VM replicas upon failover. NAKIVO Backup & Replication v7.4 can back up AWS EC2 instances and save as many as 1,000 recovery points for flexible recovery. With the new version, you can protect your EC2 instances and store backups onsite for higher reliability. To find out why backups are better for protecting your data than AWS snapshots, download our free white paper. NAKIVO Backup & Replication v7.4 can back up itself once a day. With the Self-Backup feature, restoring all your settings, inventory objects, and job schedules on a new instance is as easy as recovering from the latest system backup. NAKIVO Backup & Replication was designed to be fast, and transfers data at the maximum available speeds. However, if your networks are already heavily loaded at the time of VM backup or replication, you may want to limit the speed of data transfer. This is where the new Bandwidth Throttling feature can help. NAKIVO Backup & Replication v7.4 allows you to set speed limits for your jobs. This way, for example, you can restrict a backup job to consume no more than 50 MB/s. It’s relatively easy to find VM backups, replicas, or other objects within your backup infrastructure when you have just a few of them. However, things get much more complicated as your infrastructure grows. To simplify the process, NAKIVO Backup & Replication v7.4 includes the Global Search feature. You can easily find VM backups, replicas, jobs, repositories, and transporters by searching across your entire backup infrastructure. You can even run jobs for these items right from the search results page. The Flash VM Boot feature in NAKIVO Backup & Replication v7.4 can instantly boot Hyper-V VMs right from compressed and deduplicated backups. There is no need to recover the entire VM first or perform any special setup. Flash VM Boot works right out of the box: just choose a VM backup, a recovery point, and a recovery location, then push a button – the VM is booted immediately. Creating a Hyper-V VM backup or replica does not necessarily guarantee that you can recover when you need to; the backup or replica may turn out to be corrupted or not bootable. NAKIVO Backup & Replication v7.4 provides an automated way to verify your Hyper-V VM backups and replicas in a matter of minutes. As soon as a VM backup job is completed, the product can instantly recover the Hyper-V VM from the backup, wait until the OS has booted, make a screenshot of the OS, then discard the test-recovered VM and send you an email report with the screenshot attached. All this is done automatically and requires no oversight. To ensure reliability and enable data recovery, Microsoft SQL Server records all database changes in transaction log files. These log files grow over time and can consume all available disk space, causing a server crash. The Log Truncation feature can automatically delete the log files from the source VM after a successful backup or replication job in order to free up space and ensure uninterrupted operation of the server. Microsoft SQL empowers a variety of business-critical applications; therefore, if an SQL database becomes corrupted or if undesired changes need to be rolled back, recovery time should be as short as possible. The Object Recovery feature for Microsoft SQL Server provides instant recovery of Microsoft SQL objects (databases and tables) to their original location or a custom one. Getting help with NAKIVO Backup & Replication v7.4 is easier than ever before, as the new version provides an integrated chat with Technical Support. Are you excited about the new range of possibilities for VM protection and recovery? Sign up for NAKIVO Backup & Replication v7.4 Beta at https://www.nakivo.com/resources/releases/v7.4/. 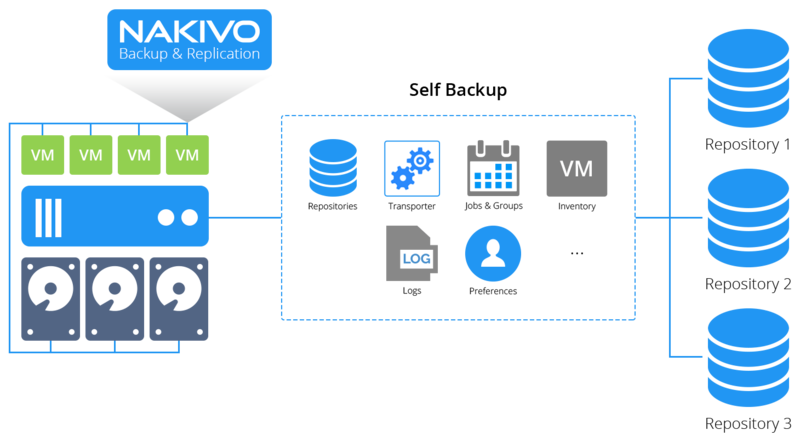 Want to start using all the core features of NAKIVO Backup & Replication right now? Download the full-featured Free Trial.